Help your kids reach their full potential and have fun doing it! Choosing the right Chiropractor is important. We provide excellent care during & after treatment to ensure your well-being. Specializing in instrument adjustments (Impulse iQ) our doctors are trained in the latest treatments and technologies. At Abbotsford Spine Centre we firmly believe in providing the best possible care for all patients. Through diagnosis, treatment and prevention, our goal is to support your recovery, quickly and safely. We are here to help you get better and on your way so you can get back to work and the activities you enjoy. 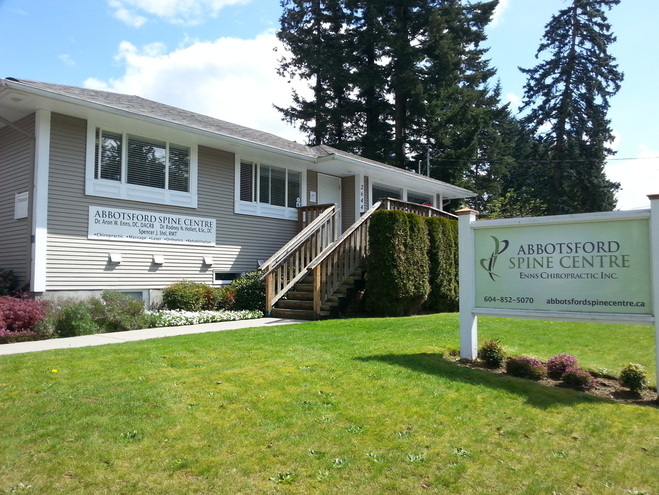 Abbotsford Spine Centre, formerly known as Enns Chiropractic, has been serving the residents of Abbotsford for nearly 30 years. We are primarily an instrument adjusting Chiropractic clinic, committed to helping you heal and to feel your best. If you or a family member are experiencing spinal pain or any of the more common issues listed below, feel free to contact our office to book an appointment with any of our qualified practitioners.